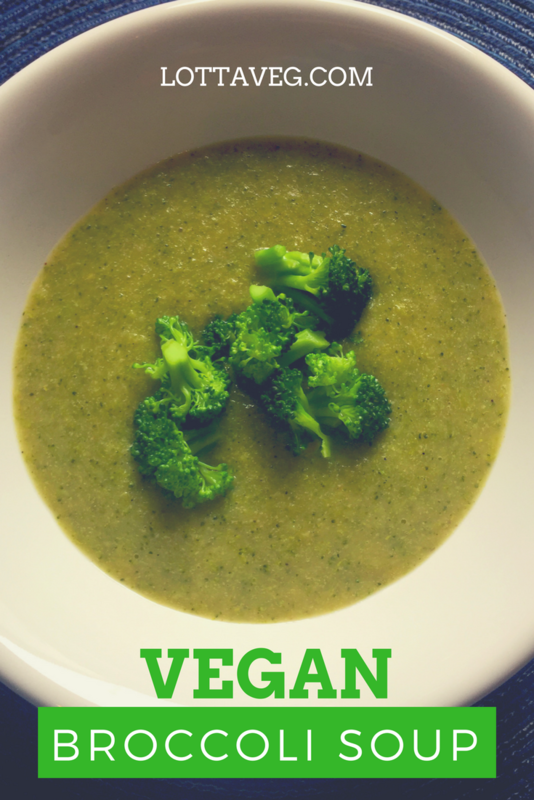 This Vegan Broccoli Soup has 75 calories with 5 grams of protein, 3 grams of fiber & 116% of your daily Vitamin C. It's a delicious nutritional powerhouse! Chop the onion, celery and garlic. Add the vegetable broth to a large pot and bring to a simmer. Add the onions, celery and garlic to the vegetable broth. Simmer covered until slightly translucent, about 5 minutes. Stir occasionally. Add more broth if needed. Add 4 cups water and the diced potatoes to the pot with the other veggies. Bring to a boil and reduce heat to simmer. Cook until the potatoes are soft, about 10 to 15 minutes. Chop the 6 cups broccoli into florets. You can chop the stalks and use those in the soup, too. Set aside 2 cups of small florets for garnish. When the potatoes are soft, add the 4 cups broccoli florets and stalk to the pot and stir to combine. The broccoli may not be fully submerged, but do NOT add more water or it will dilute your soup. Cover and cook until the broccoli is soft, but not mushy. About 5 minutes. The florets will turn a bright green color. Remove the pot from the heat and transfer the soup mixture to a blender. Blend on high until smooth. If your blender is too small for the whole pot of soup, you can blend it in two batches and recombine in the pot. Return the soup to the pot and add the almond milk, lime juice, nutritional yeast, salt, black pepper and cayenne pepper. Stir to thoroughly combine. Reheat over medium heat, about 5 minutes, stirring occasionally. 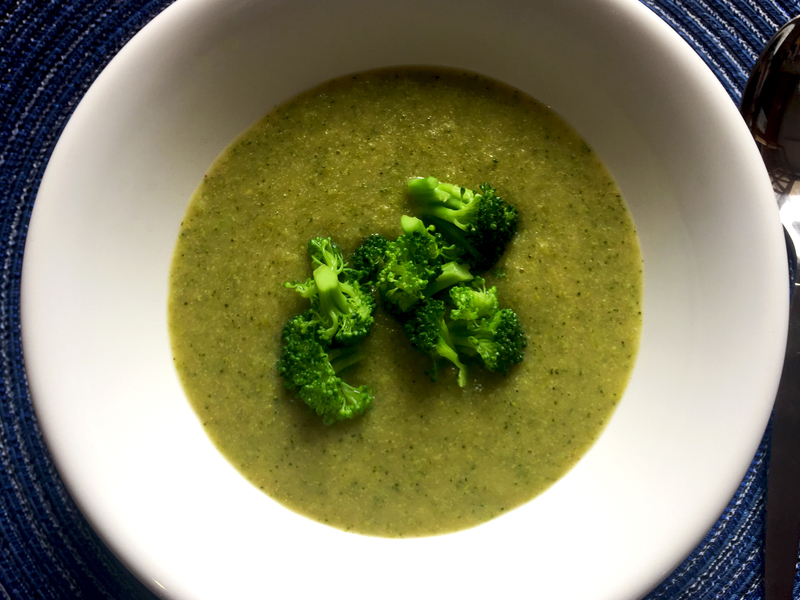 While the soup is reheating, steam the remaining 1 cup of small broccoli florets in a separate pot until bright green, about 5 minutes. 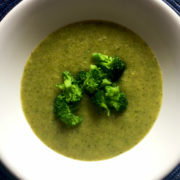 Add 3/4 cup of soup to a bowl and garnish with 1/4 cup of steamed broccoli florets. Refrigerate leftovers for up to 5 days.